Next Page For Parbor Harbor..
December 7th, 1941 is a day that will forever go down in infamy, a day that sparked the beginning of WWII and changed the face of our country forever. 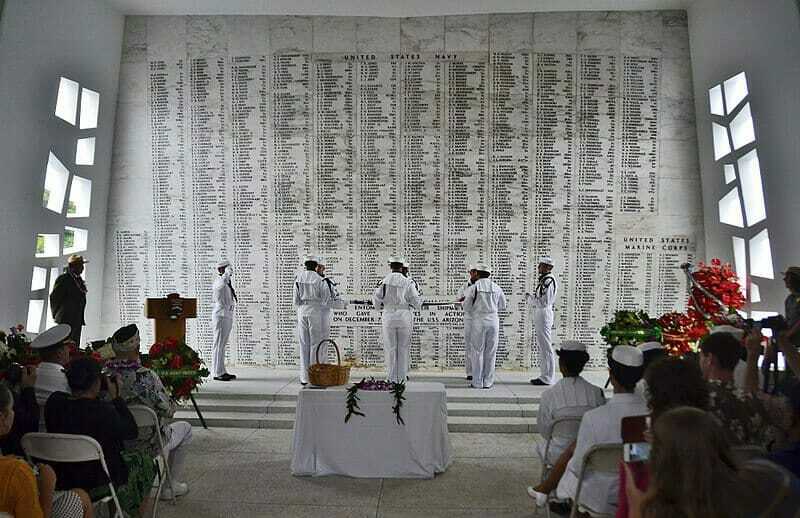 2016 marks a monumental anniversary for this event, the 75th anniversary of the attacks on Pearl Harbor. This is your big chance to see the moving memorial personally, learning about and experience the effects of the tragedy yourself, with the help of our company. 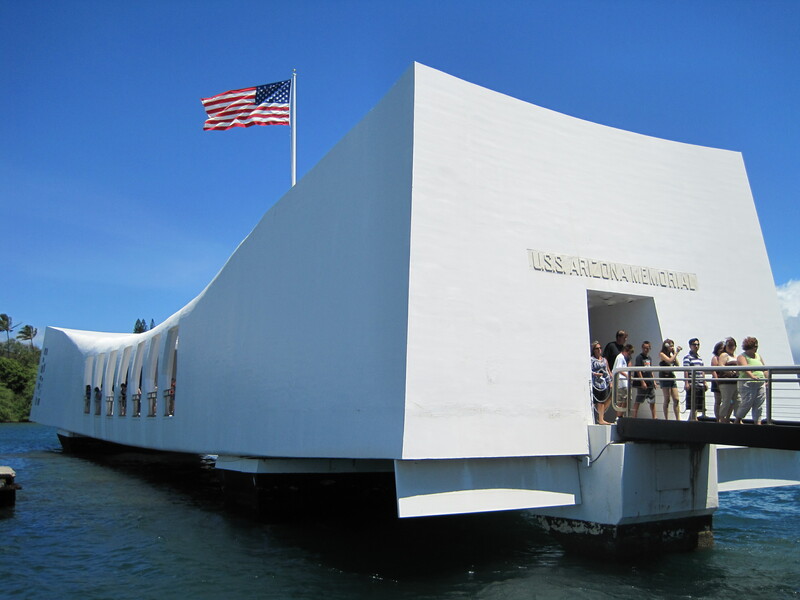 The 75th anniversary of the attack on Pearl Harbor is an international event that allows people from all over the world to pay tribute to those who lost their lives on that tragic day. This is a chance to honor the sacrifice and dedication of our fallen military members, local civilians, and their families. It is clear that Hawaii’s role in the world was forever changed and defined that day, but today the resilient and gorgeous land offers you and your group an unforgettable way to express our appreciation, remember our past, and celebrate our future. Not only can you come and visit during these 10 spectacular days of memorial, but if you are a part of any sort of school performance group, such as marching band, concert band, chorus, or the like, you can also take part in the opening ceremony, closing ceremony, or memorial parade! Opening Ceremony - The big Opening Ceremony service for the 75th Anniversary of the Attack on Pearl Harbor is truly the main event. This internationally attended event pays excellent tribute to those who lost their lives on that tragic day, a way for the public to express their appreciation for the service and sacrifice of the veterans and their families. This year the theme is ‘remembering our past and celebrating our future’, the entire ceremony filled with honor and respect, as well as several different talented performers. The parade includes authentic Pearl Harbor ship representations by way of 40’ models, several different bands from both America and Japan, local officials, international leaders, and of course, many affected locals. Closing Ceremony - Directly after the parade you will follow the route to the Closing Ceremony, taking place at the beautiful and scenic Waikiki Bandshell. This ceremony never fails to bring together all the efforts of the day and the night impressively, recognizing all those who helped make it happen. This ceremony also, of course, pays tribute to those fallen on that infamous day through several different memorials and dedications. All of the visiting bands will take part in a moving mass concert band performance during this ceremony as well, an overall truly powerful and moving dedication from hundreds of talented musicians coming together as one.